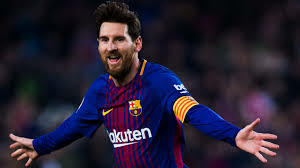 February 26 – French-trained players dominate a ranking of players who dribble the most in the Big-5 Leagues but Lionel Messi is still the master with the ball at his feet and tops the ranking over the past year. February 26 – So much for a mere misunderstanding. 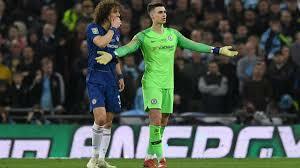 Chelsea’s Spanish goalkeeper Kepa Arrizabalaga has been fined a week’s wages and apologised for refusing to be substituted during Sunday’s English League Cup final defeat by Manchester City, an incident which made global headlines. February 25 – Have you ever seen anything like it? That was the widespread reaction to the extraordinary scenes that marked the climax of Sunday’s English League Cup final won by Manchester City, who retained the trophy on penalties following a goalless draw with Chelsea. 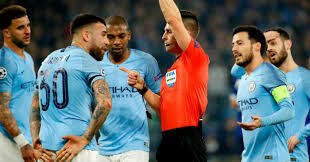 February 21 – The newly arrived video refs were in the spotlight once more in the Champions League last night as both the Schalke 04 vs Manchester City and Atletico Madrid vs Juventus matches were punctuated by VAR incidents. February 20 – Data looking at how much playing time young players born 1988 and later are getting in Europe’s top leagues show very are getting experience in the Big 5 and the France and Spain providing the most opportunity for development. 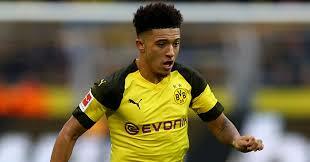 February 18 – Players who have developed through the Barcelona or Real Madrid academies are far more likely to have careers in Europe’s Big 5 leagues than players developed anywhere else in Europe. 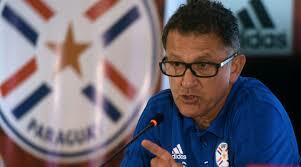 February 18 – A financially destitute Italian third-tier club is under fire for fielding just seven players at the weekend and losing 20-0 in the process – the worst trouncing in the league’s history. 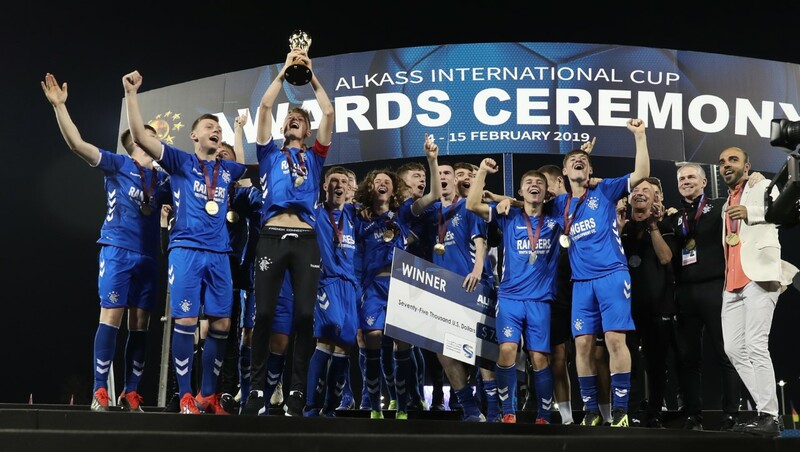 February 18 – Glasgow Rangers became the 2019 champions of the U17 Al-Kass International Cup, a football tournament organized annually in Qatar by the Al-Kass TV channel since 2012. February 15 – UEFA have launched an investigation that could rule Real Madrid captain Sergio Ramos out of a potential Champions League quarter-final after he admitted getting booked on purpose in Wednesday’s 2-1 win at Ajax Amsterdam. 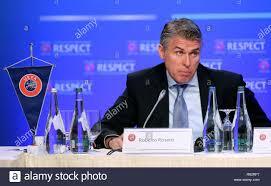 February 15 – Despite a hugely controversial offside call at Ajax that went Real Madrid’s way and could have changed the outcome of the game, the Video Assistant Referee system “worked perfectly” at all stadiums that hosted first leg games in the last 16 of the Champions League this week, according to UEFA’s chief refereeing officer Roberto Rosetti. 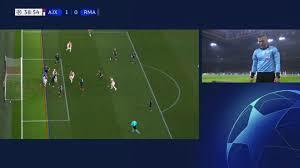 February 14 – The video assistant referee system made its eagerly anticipated Champions League debut in the last-16 this week – and immediately caused huge controversy. 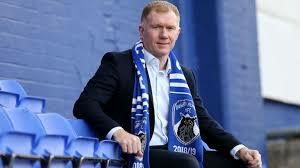 February 13 – On the night that his former teammate Ole Gunnar Solskjær stumbled to his first defeat as Manchester United coach against Paris Saint-Germain in the Champions League, Paul Scholes passed his first managerial test with a 4-1 win for Oldham against Yeovil. February 5 – Chelsea’s César Azpilicueta has played more minutes in Europe’s big-5 leagues during the last five years than any other outfield player.